There are very few performers that can seesaw between drama and comedy as effortlessly as Robin Williams did. How he managed to make me cry from laughter playing Mrs. Doubtfire, and also shed a tear of sorrow when counseling a baby-faced Matt Damon in “Good Will Hunting” is wrapped around one word: genius. 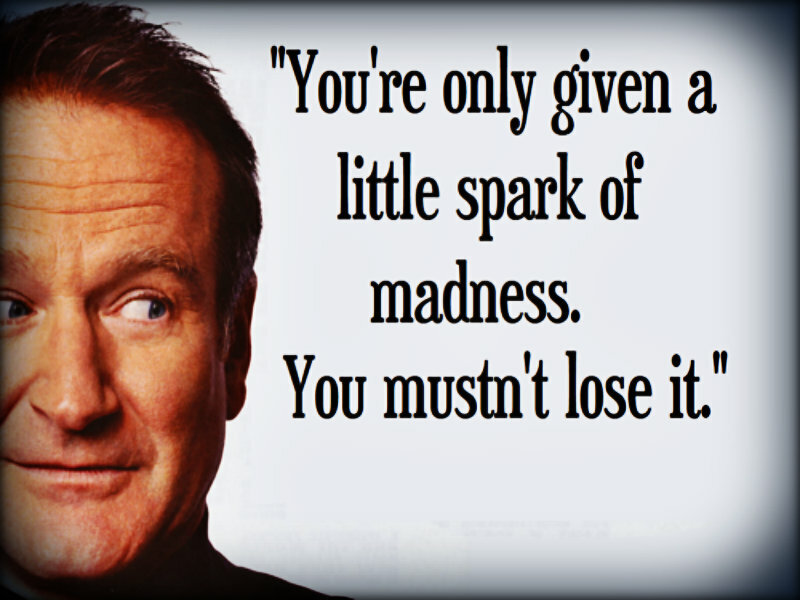 It’s a word tossed around too much these days, but one most fitting for Robin Williams rare breed. He was a star that could sparkle with a maniacal wit and dim with wisdom and understanding on the big screen. It wasn’t until this week that I discovered his generosity extended off set when he gave his comedy colleague a pick-me-up gift in the form of a bicycle to lift his spirits. And despite being the biggest star on set of a St. Jude Children’s hospital PSA, he treated the hospital’s co-star/patient like the true star. And lest I forget he was one of the few performers who still entertained the troops. In the U.S. and outside it, he brought his comedy routine to 90 thousand troops in 13 different countries with the United Services Organization, a non-profit that helps boost U.S. troops morale, according to CNN. Click here to see Robin Williams explain why he goes out of his way to entertain the troops. The USO released a statement of sadness on Twitter when they learned Williams’ died. And I share that same melancholy over his loss and I’m also grateful for his very worthy verse.